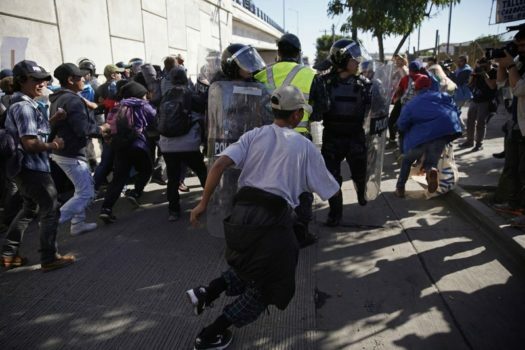 US agents shot tear gas at migrants attempting to cross the fence separating Mexico from the US near Tiajuana. Children were in the crowd of people in the vicinity. Border Patrol helicopters flew overhead, but the agents throwing the tear gas were on foot. Pedestrian crossings were suspended at the San Ysidro port of entry. This all happened while President Trump tweeted to express his unhappiness with the caravans.